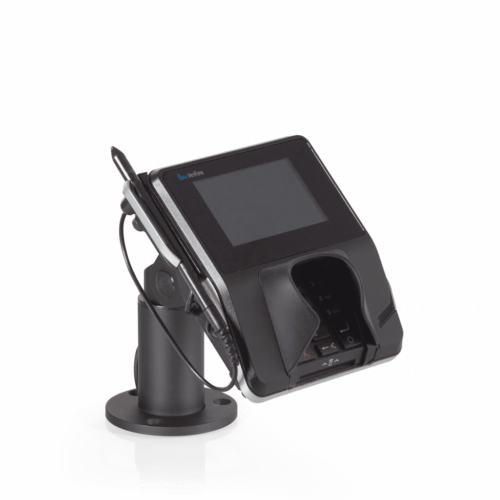 Retail environments require retail-ready solutions. The Modular Now™ Verifone payment terminal mounts offer a fixed-height POS mount that features an attractive appearance and durable construction. Modular Now™ is a highly configurable POS mounting system, build yours today. 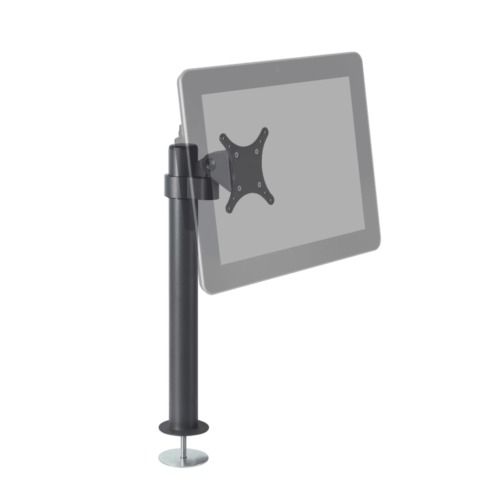 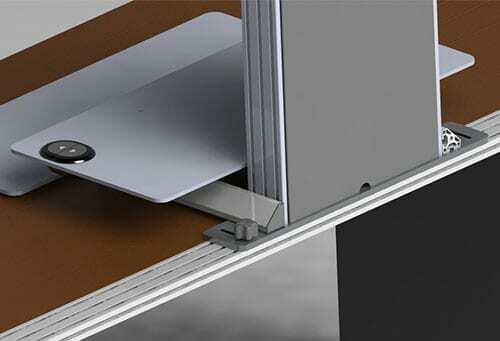 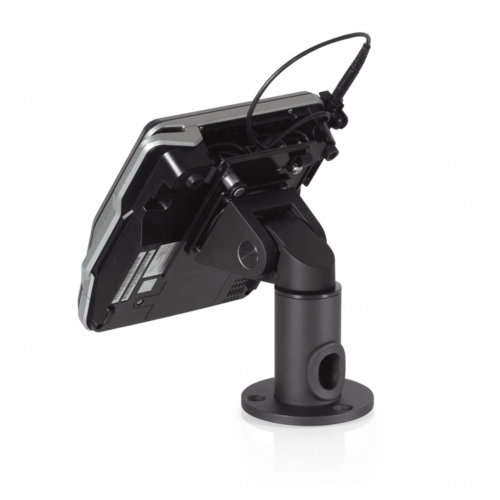 Explore the Moduar Now POS mounting system. 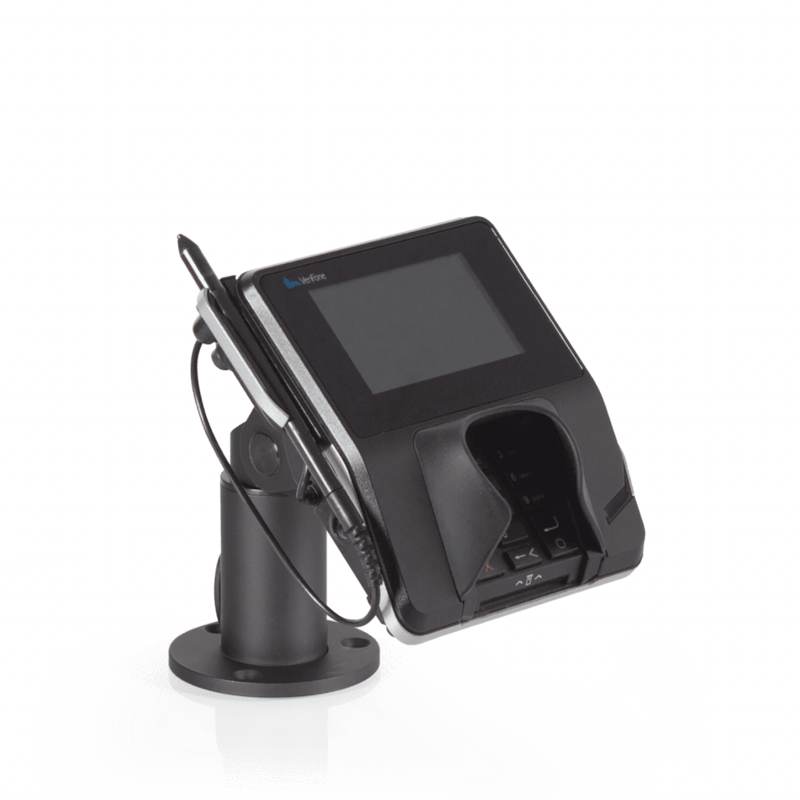 Retail environments require retail-ready solutions. 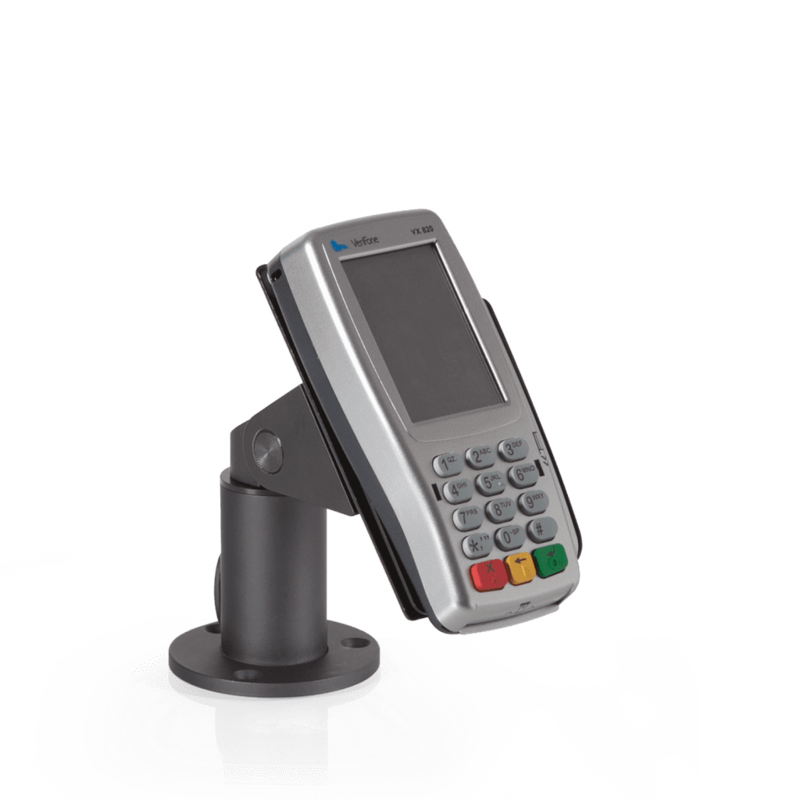 The Modular Now™ Verifone payment terminal mounts offer a fixed-height POS mount that features an attractive appearance and durable construction. 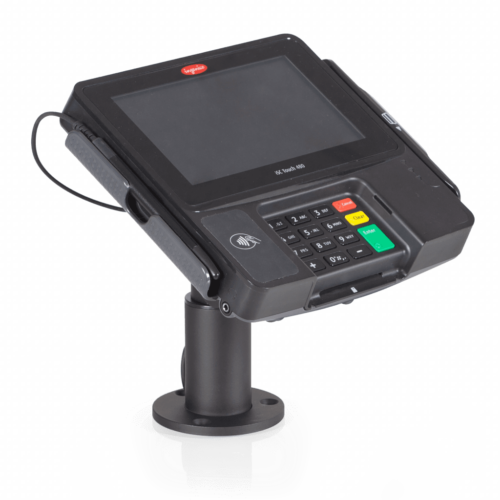 Terminal payment device can be pivoted and turned, or locked in place if desired. 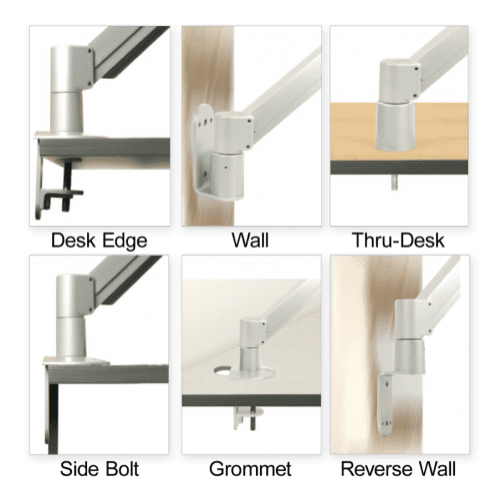 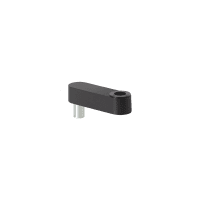 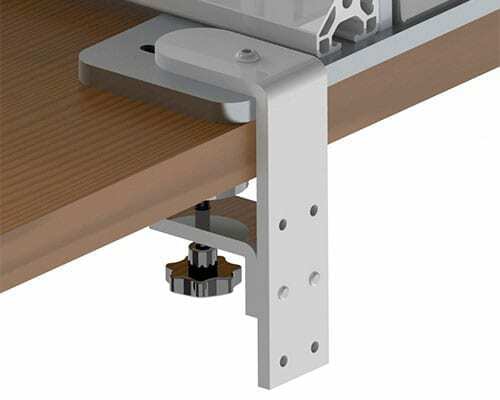 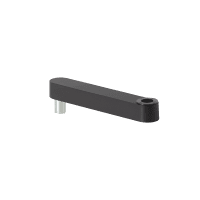 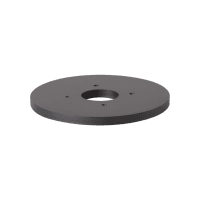 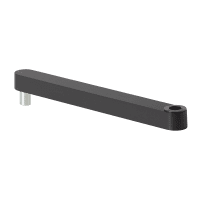 Bolts through counter or can be secured to counter with the included adhesive pad; optional freestanding mount available. 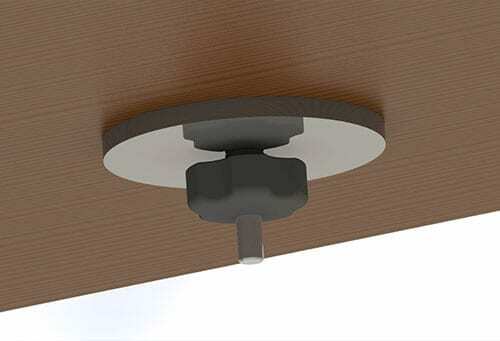 Cables may be routed through a grommet hole in the counter. 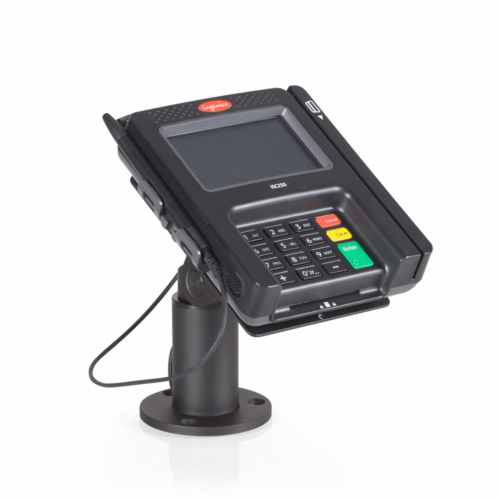 A cable tie-down is built in to help prevent damage to the payment terminal. 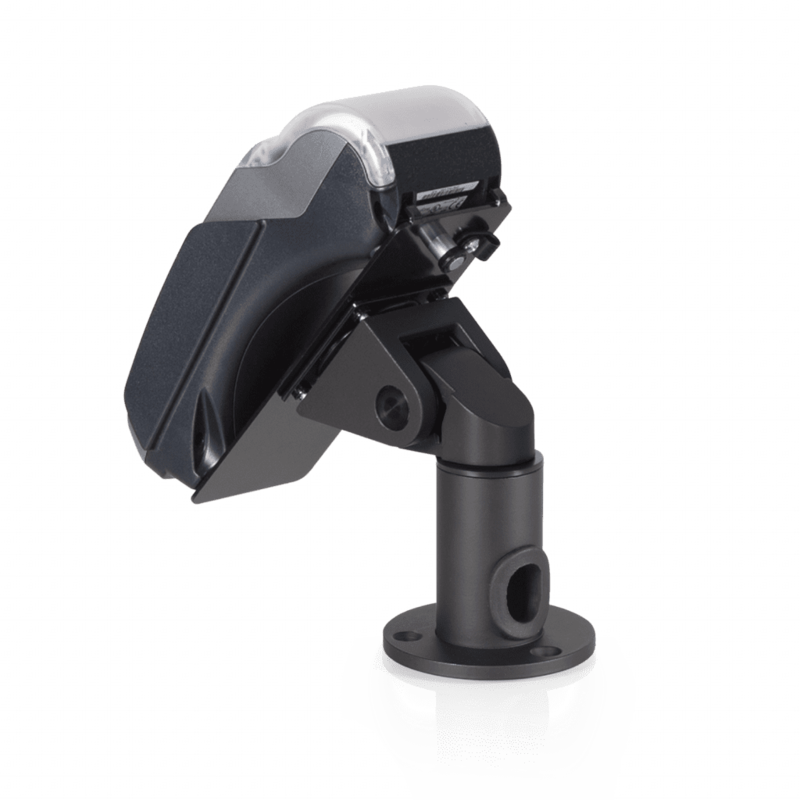 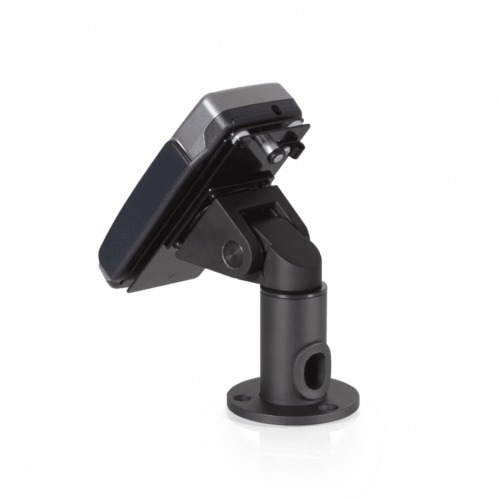 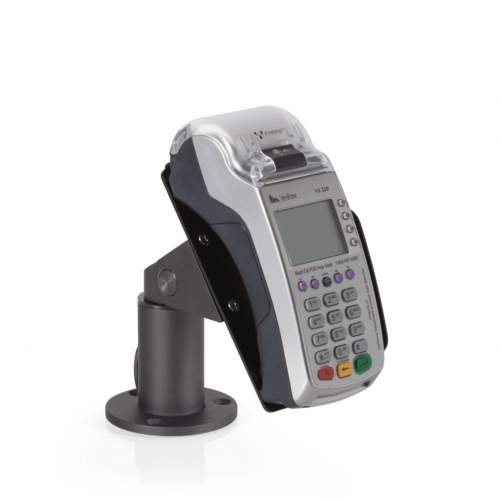 Quick release feature allows the payment terminal to be installed and removed with ease.